Excited to find out if you’ll be going to Club Med for an all-expenses paid holiday? Or if you get to watch 30 movies for free? 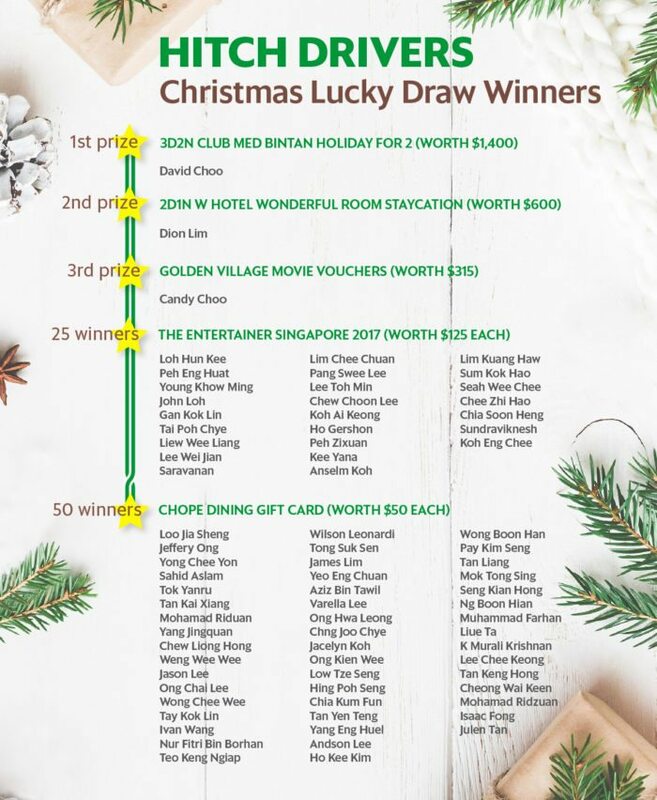 Results for our first ever Christmas Lucky Draw for Hitch Drivers are out! Remember every pick-up in December is equivalent to one chance. 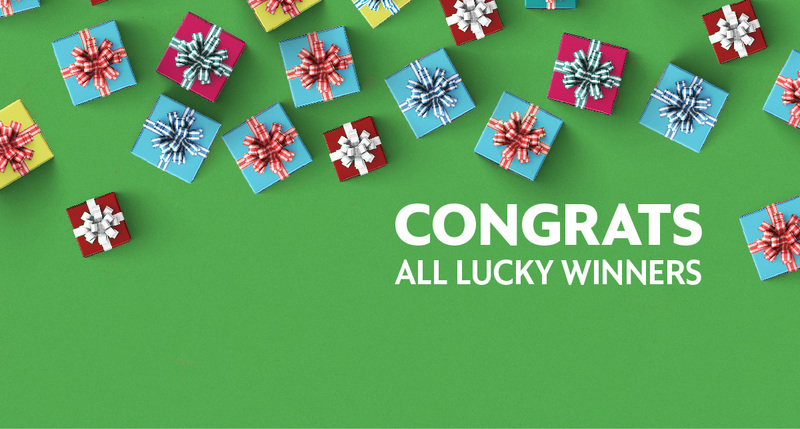 So that means, these winners are either super active or super lucky – or both! With fingers crossed and breath held, scroll down below to check out if you’re one of the 78 winners! Congrats again to all winners! Regardless of whether you’ve won or not, be sure that we’ll be bringing you more treats in this new year ahead. Thanks again for powering our social carpooling movement as we lighten up our city’s roads and hearts!